Message from producers of The Brigade. We're filming again in February for the Brigade documentary. 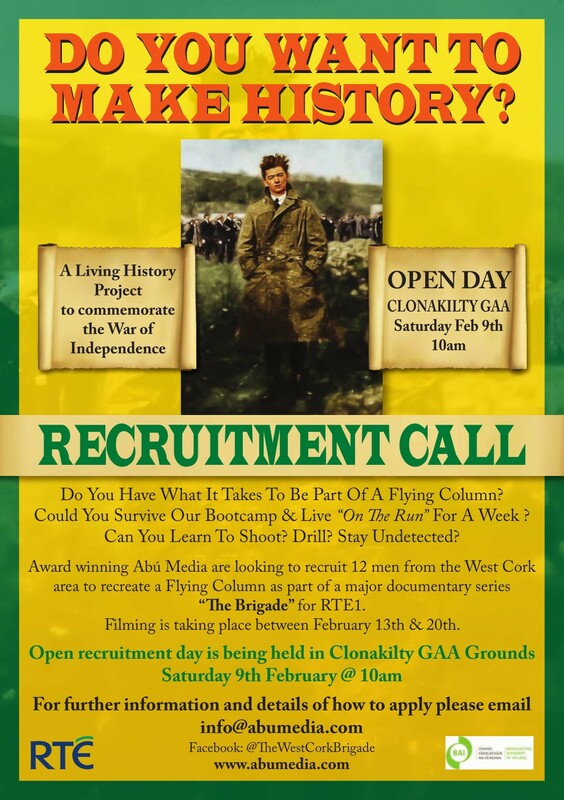 We're having an open day at Clon GAA on Saturday February 9th were we hope to pick the men who will become our West Cork Flying Column. We'll then train them up and have them take part in an Ambush to understand what the men of 100 years ago went through. Attached is a poster for the open day. 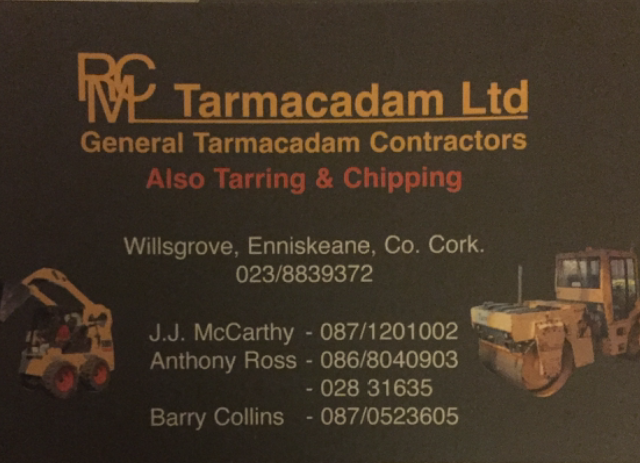 Would it be possible to get this message out to all the GAA clubs in west Cork and ask them to spread it on their social media and out to their players. We're hoping this will be of interest to GAA players and we're especially interested in descendants of the men from 100 years ago. Mainly looking for men aged 18 to 30 to mirror the age of the men of the Brigade.